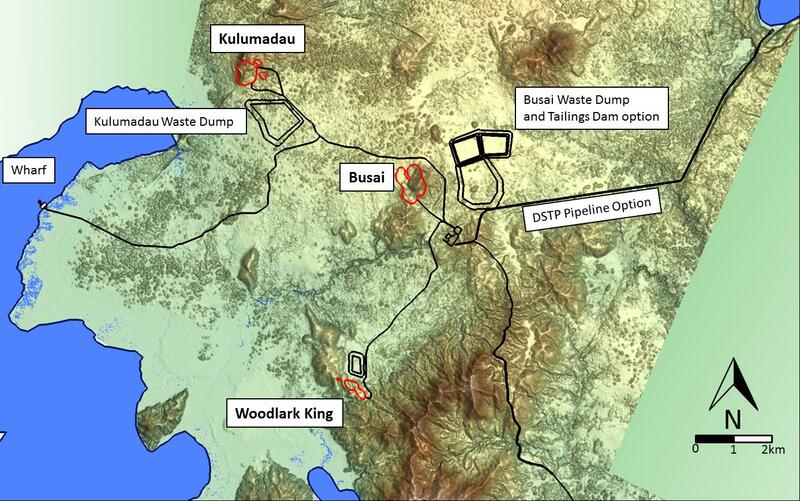 The Woodlark Island Gold Project consists of a 1.8 million tonne per annum gold processing plant, three open pit mining areas located approximately within a five kilometre haul distance. The initial ore will be sourced from near surface, higher grade ore at Kulumadau and Busai with subsequent ore being sourced from phased open cut mining of Kulumadau, Kulumadau East and Busai deposits followed by the smaller Woodlark King deposit. This mining schedule provides a head feed grade of 2.14g/t over the first six years of production. Key outputs are shown in the table below with annual production and head feed grade over the life of mine.